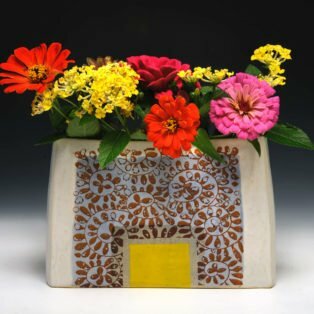 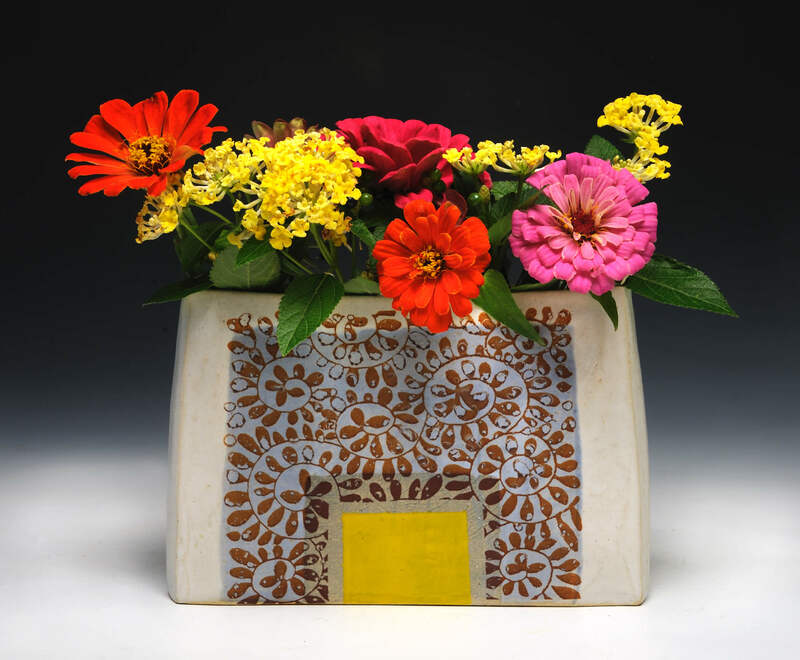 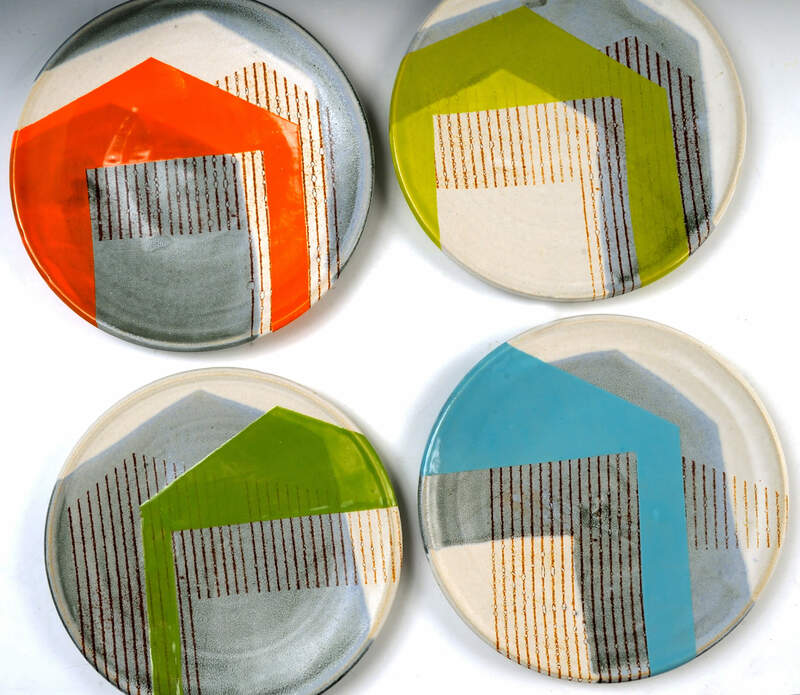 Stacy Snyder was born and raised in southwest Virginia in a landscape that helped shape her aesthetic vision. 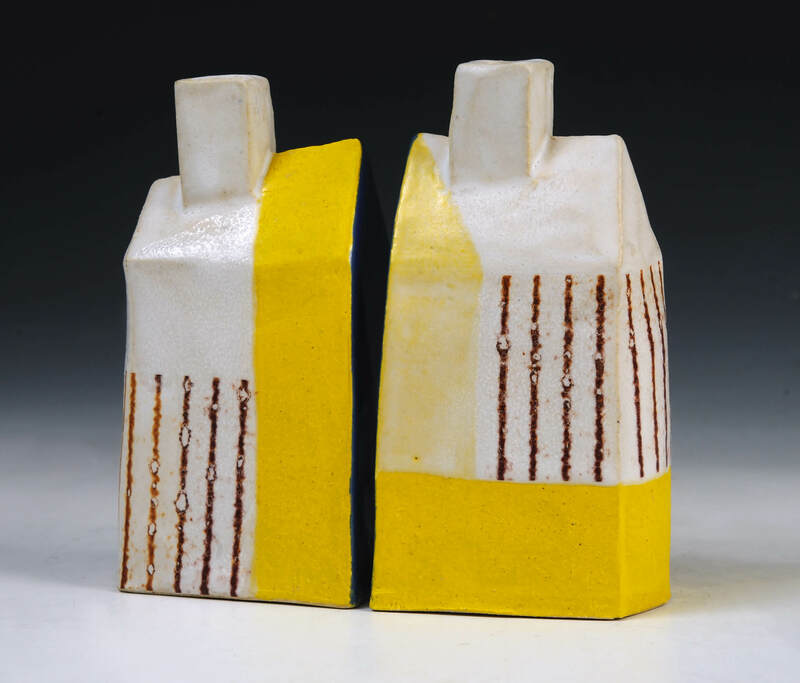 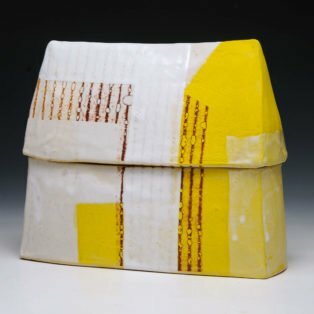 She received a BFA in Ceramics and Photography from Indiana University in 1994 and a year at the Kansas City Art Institute. 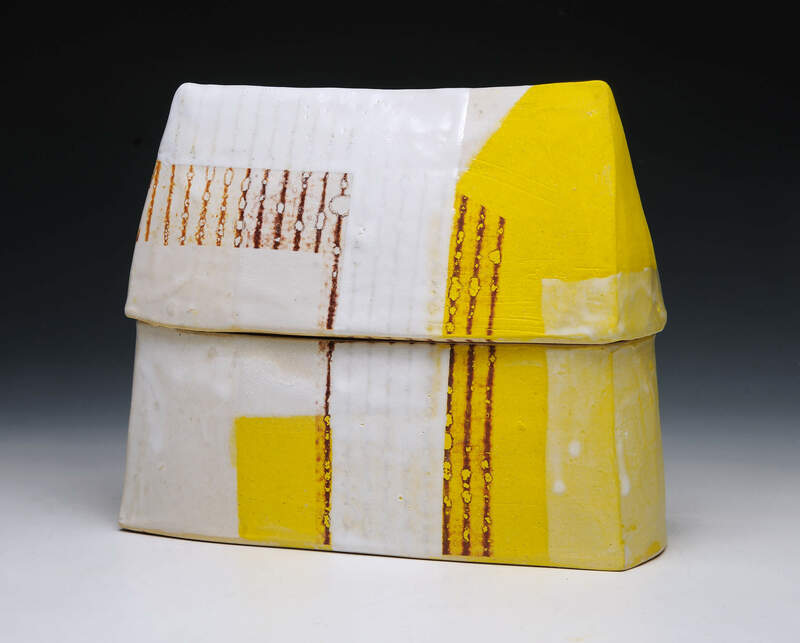 In 1998, she received an MFA from The Pennsylvania State University. 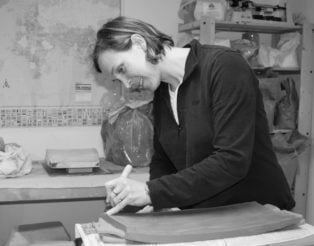 She currently lives in Arlington, Virginia with her husband and two children. 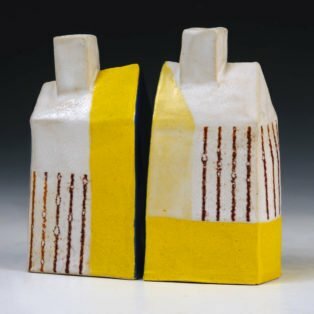 The silos, corncribs, wooden barns and rural structures that time has weathered influence my forms, spaces and the relationships of the pots to one another. 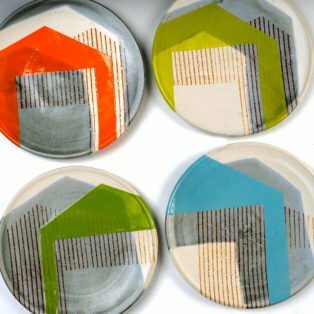 I work to create a layered effect with the surfaces, hoping to find a depth with the layers of glazes, decal images and color.